Headaches are very common among the population of the world and they can present in a variety of different ways. As a Denver chiropractor, I see many cases of headache pain walk into my chiropractic clinic looking for relief. Most of these patients have dealt with headaches or migraines their entire lives and are finally seeking treatment or relief. Depending on the type of headache, there are a variety of different ways to treat. If you or someone you know normally does not have headaches and suddenly experiences severe headache pain that they have never felt before, they become dizzy or nauseous, and are having trouble speaking or moving their face, please seek immediate emergency care. Core Family Chiropractic wants to provide research to the community of Wheat Ridge, Lakewood, and Denver. Chiropractic benefits many pain conditions and improves overall wellness, but most research lately has been performed on low back pain, neck pain, and headaches. These are just a few quotes from studies pulled from two research journals. Make sure your daily water intake is adequate. Most people have heard drink 8 cups of water each day, but this may vary depending on your activity level. Watch the positioning of your head. Anterior head carriage or slouching forward and having your head in a forward position can increase strain on the muscles of the cervical spine in the neck. If your posture has been bad for a long period of time, this may be contributing to different pain issues and should be looked at by a chiropractor. Keep a headache diary. 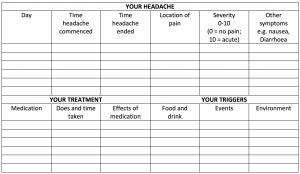 This can help find what triggers your headaches and a template can be found at National Headache Foundation website. There are several types of headaches and the origin or cause may come from a variety of areas. A doctor of chiropractic can help distinguish between the types of headaches by performing a comprehensive exam and obtaining a history of how the headaches occur. If you’ve been experiencing neck pain or headaches and the above tips did not reduce your neck pain or headache intensity, duration, or frequency, call our office at 720-242-6251 or schedule online today.